This was some work around making a motion presentation for Chanel's online makeup/skincare boutique. 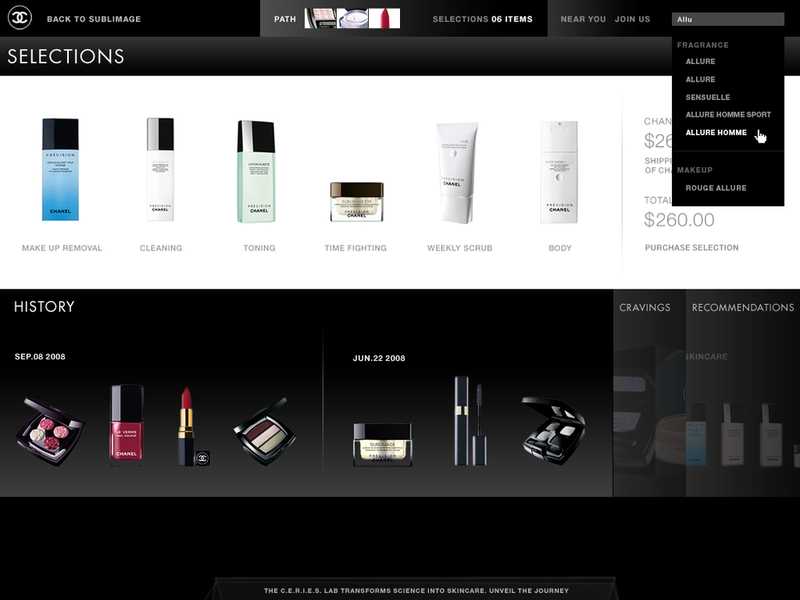 Again, strong thinking and concepting on how to elevate it's e-commerece to a couture online shopping experience through both striking visuals and intelligent "shopping cart." Although we weren't ultimately chosen, the resulting work was beautiful. Here are both screens and the style frames that led to them.